Calling all new moms: join us for a four part workshop specially designed for new moms and their children! This $50 four part workshop occurs throughout October on the 3rd, 10th, 17th, and 24th from 5:00 PM to 5:45 PM. 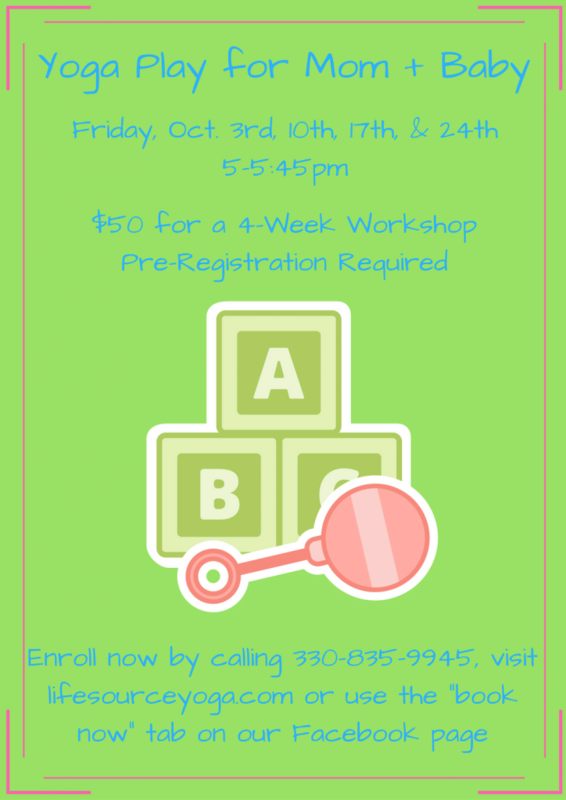 Pre-registration is required — call or book now! You can reach us at 330-835-9945, book here via our website from the “Schedule” tab, or you can enroll via our Facebook and click on the “Book Now” tab.